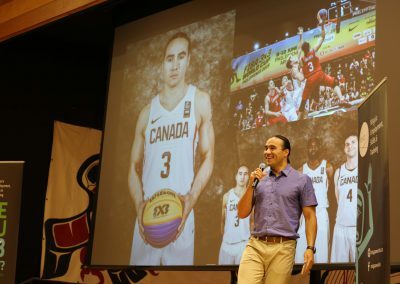 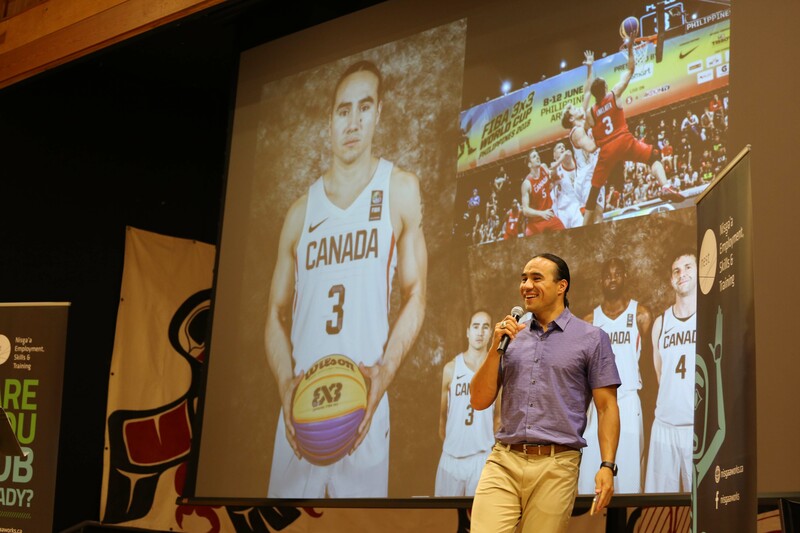 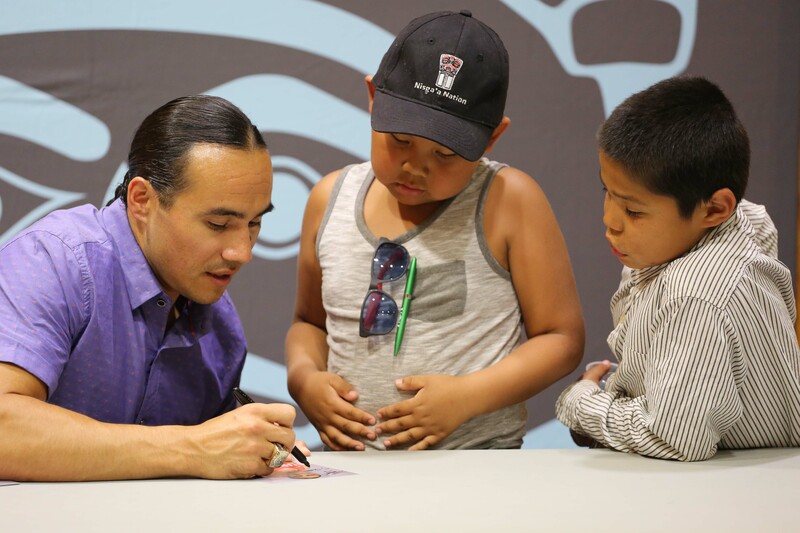 Featuring an inspiring keynote speech delivered by a world-leading Canadian basketball star, the Nisga’a Employment Skills and Training hosted its inaugural gala July 26 in Gitlaxt’aamiks (New Aiyansh). 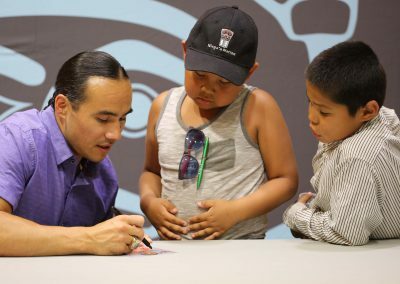 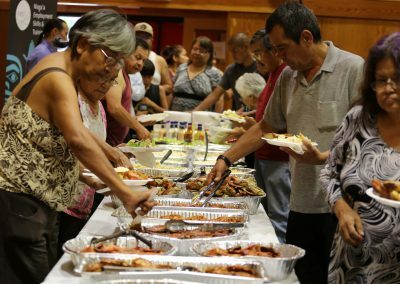 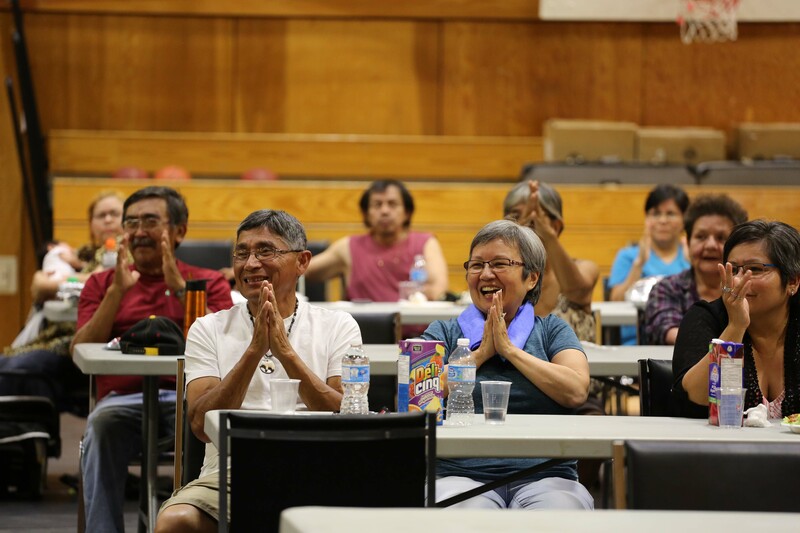 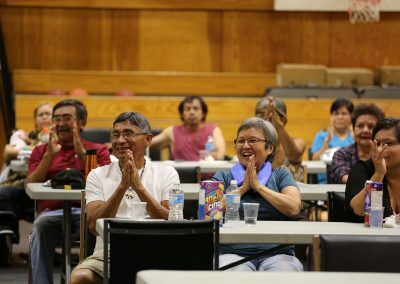 Attracting more than 100 attendees to the Gitlaxt’aamiks Recreational Centre, the evening celebrated the hard works of Nisga’a individuals who have pursued and achieved personal successes. 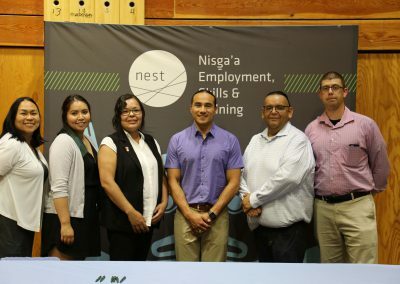 Recognized Nisga’a citizens and partners were given original prints by Nisga’a artists Michael Dangeli, and contributions from organizations, employers and partners were also acknowledged. 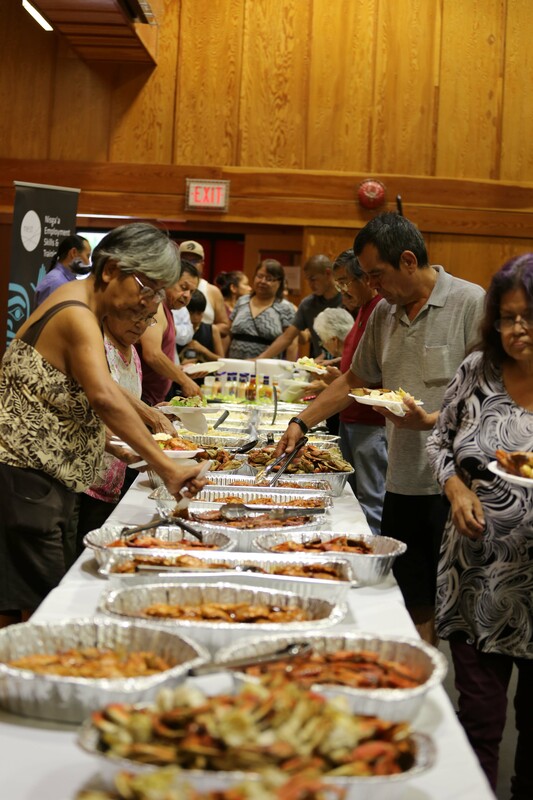 The evening included a traditional meal with barbecued salmon, smoked salmon belly, and fresh crab provided by Nisga’a caterer Russell Morven.